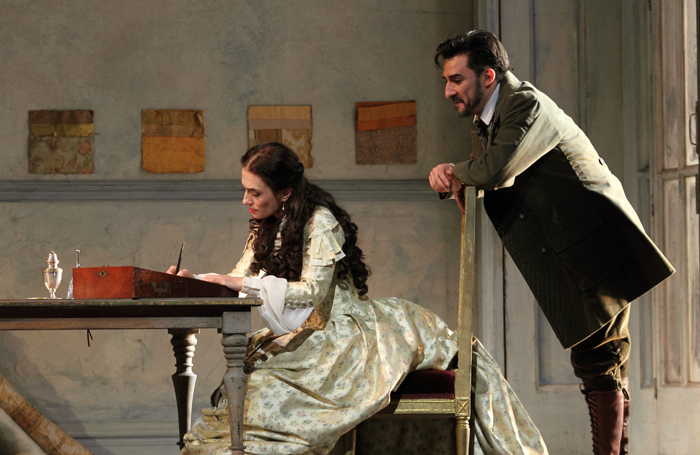 Richard Eyre’s production of La Traviata is a mainstay of the Royal Opera House, and Bob Crowley’s lavish design is one major reason why. In this production, now receiving its 16th revival, Verdi’s tragic tale unfolds across a series of impressive sets: a vast Paris apartment where Violetta entertains her guests, a charming country hideaway, an opium-red gambling den where things go horribly wrong and the barren sick room where it all ends. Sumptuous period costumes add to the atmosphere, as does Jean Kalman’s lighting, particularly in the sunlit country house where Giorgio Germont confronts his son’s lover, Violetta, the fallen woman of the opera’s title. Yet amid all the visual opulence, the central mystery of the story persists: why does Violetta sacrifice her love with Alfredo? Here the suggestion is that Violetta knows tuberculosis will kill her soon and grasps the chance for redemption offered by Alfredo’s father. 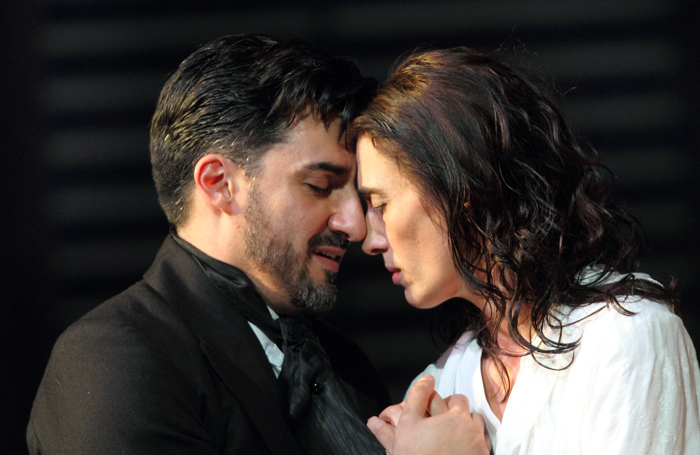 As Violetta, Ermonela Jaho is dramatically and vocally at her most persuasive as the tubercular victim of the final act. 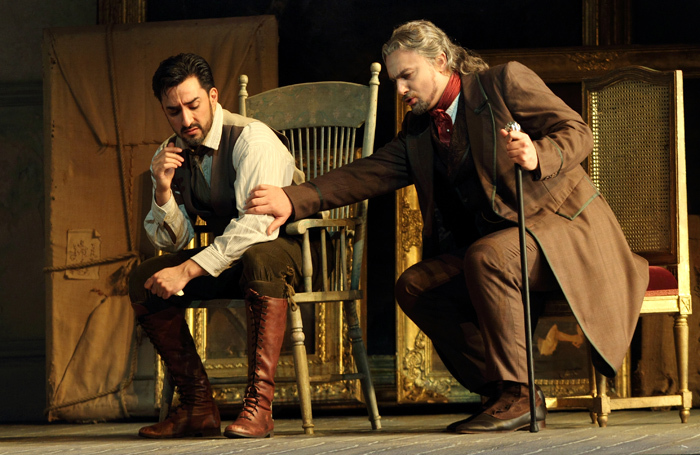 As her lover, Alfredo, Charles Castronovo is gripping in the tense gambling scene, while Igor Golovatenko is a warmly voiced, if slightly too stern, Giorgio. 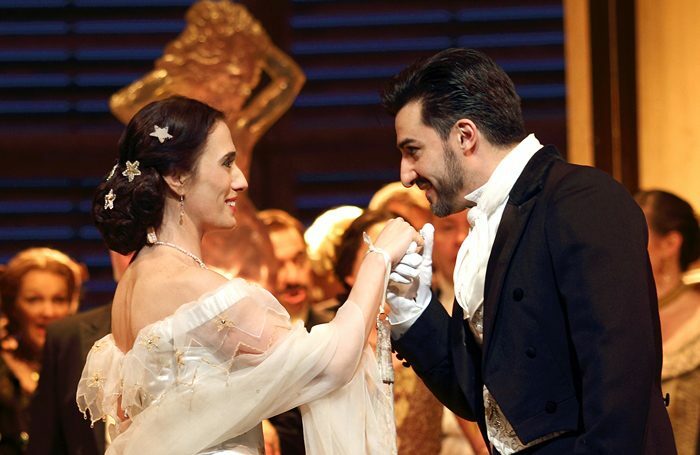 Aigul Akhmetshina is a charismatic Flora and Catherine Carby a solid presence as the servant Annina. The ROH orchestra, conducted by Antonello Manacorda, is in fine expressive form. The revival production, directed by Andrew Sinclair, boasts two casts. The second cast includes American soprano Angel Blue as Violetta, making her ROH debut, as well as Placido Domingo as Giorgio. This Traviata does not try to get under the skin of the story, choosing instead to stick with a straight and narrow telling of the tale. Yet it’s an engaging production and, judging by the opening night audience’s enthusiasm, it will continue be in residence at the ROH for a while yet.